Citrix makes a splash at the gallery! 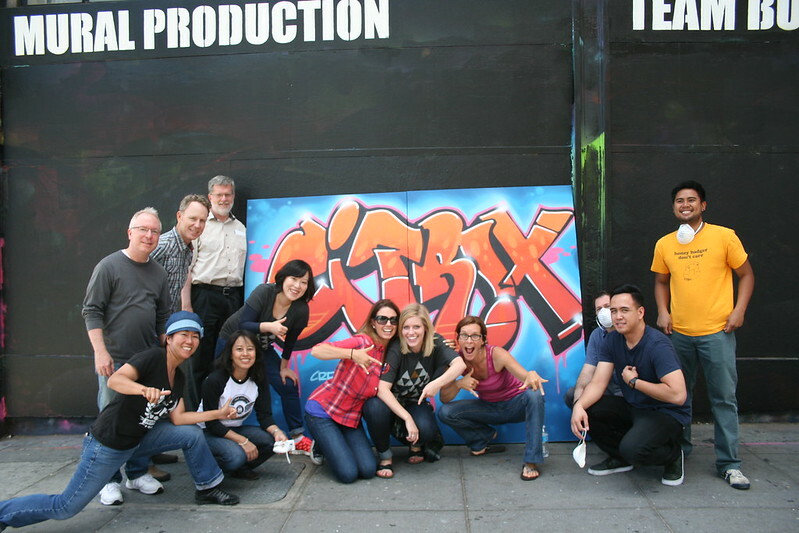 Home/Events, Mural Production, Team Building Workshops, Uncategorized/Citrix makes a splash at the gallery! 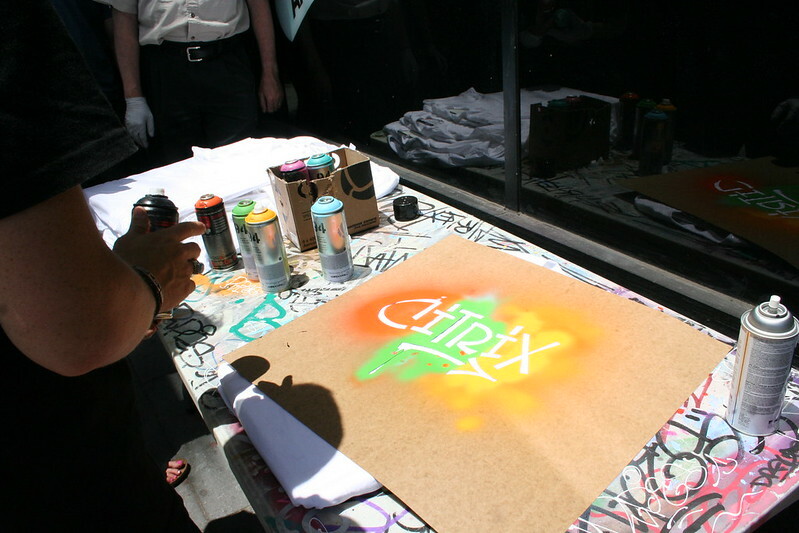 Citrix made a pit stop at 1AM where they painted stencils on t-shirts with the company’s name across their front and also created a mural with Citrix’s name on it as well, which they got to take home at the end of the workshop. With grins on their faces the whole afternoon, the team certainly knew how to enjoy themselves. Reach us by email at privateevents@1amsf.com to schedule a workshop!